Our unique guide staff makes these trips possible. We have extremely accomplished guides and run more class V and expedition style trips than almost anyone in the country. We have worked and traveled all over the world, ran some of the most difficult rivers in the world, and explored the unmatched wilderness areas of the U.S. And we truly enjoy sharing the outdoors and our outdoor experiences with others. In our off time we are always finding ways to explore more whether it is through kayaking, backcountry skiing, mountaineering, running, biking, or almost anyway that can be imagined. Class V, back of beyond remoteness, expedition style, small craft, multi-sport, challenging logistics – all trips for the adventurous spirit! These trips are our roots and we love them. 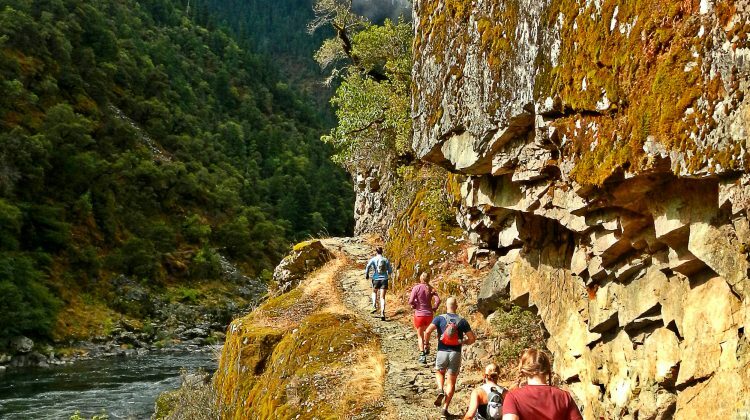 Momentum started with the idea of running only rivers we loved and we began by offering mostly quirky, difficult, and off-the-beaten-path river trips. We had to, we had no money to get in on the more famous rivers! Since then we have added more famous rivers and expanded the style of trips we run while NEVER breaking the ‘rivers we love’ rule. However, the high adventure trips are still a huge part of what we do. We are forever attracted to tasting the unknown, trying new things, exploring new places, and to the spirit of adventure. Below are links to our different styles of high adventure trips. You will notice that some trips offer more than one style. So find a trip that speaks to your sense of adventure and join us for high adventure, spectacular beauty, and a taste of the unknown! 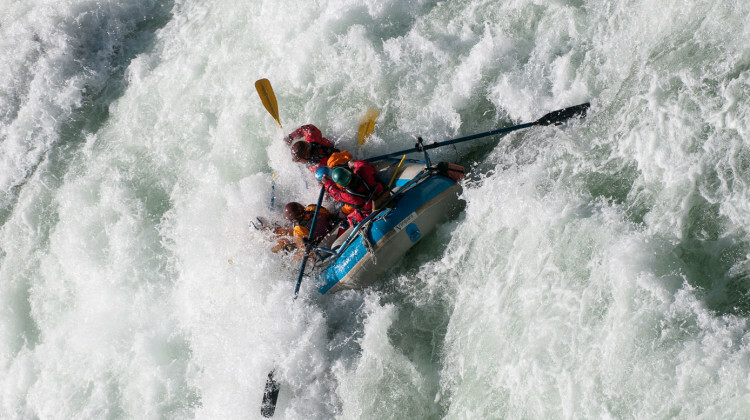 The ultimate challenge in white water rafting. Class five rafting is strenuous, adventurous, and for those who are ready, an incredibly fulfilling experience. Adventures from the pick-up to the drop-off - rivers that might be floated by less than 25 humans a year. These unique trips are our roots and we love them. Inflatable Kayaking or stand up paddle boarding (SUP) - It's just you, your craft, rapids at "face" (or feet) level, and guides leading the way giving you tips, encouragement, and a helping hand when needed. 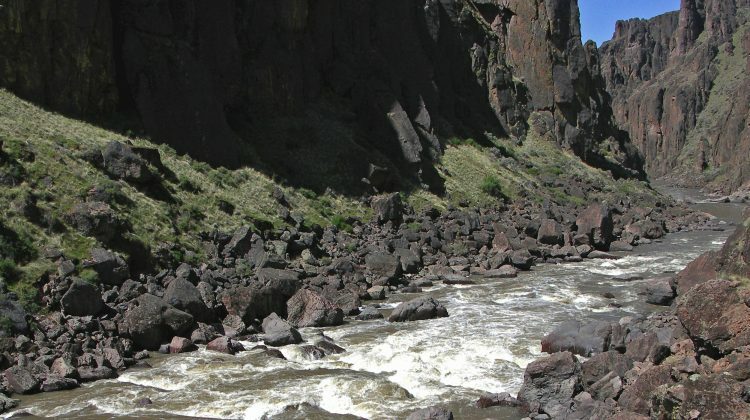 The River, It's Canyon, and lots of options... 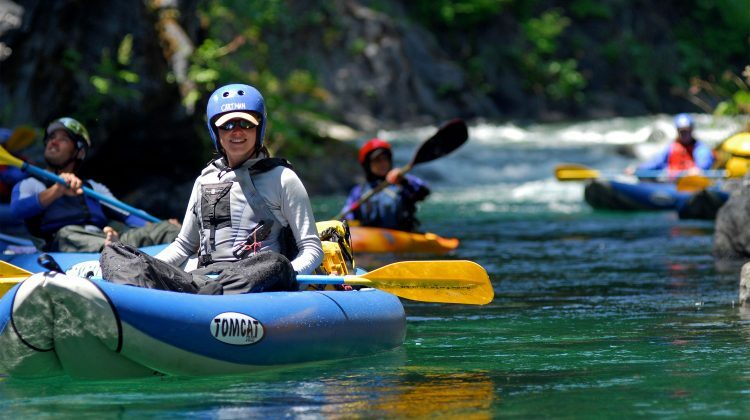 Active trips with activities and options that can include everything from paddling to hiking, to running, to biking, to fishing.